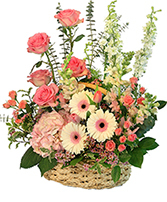 Spring's Treasure Basket Arrangement in Warrington, PA - ANGEL ROSE FLORIST INC.
A Colorful Mix Of Healthy, Robust Plants That Will Last For Years To Come. 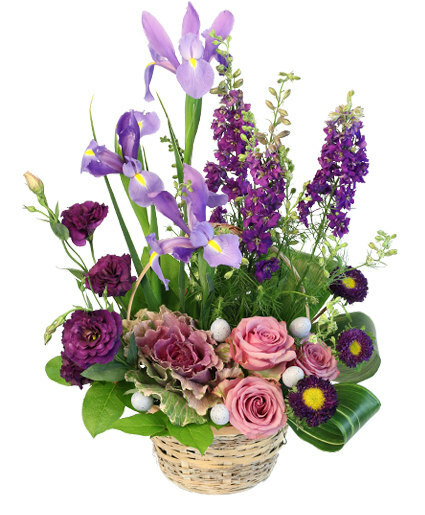 For the girl with the green thumb, or someone who simply enjoys plants, this colorful assortment of plants in a basket is sure to delight! 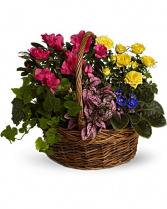 * The types of plants included may vary slightly from those pictured due to plant availability. The basket may differ slightly as well. The overall theme and presentation will be exactly as pictured.